Being a merchant is more work than I expected. Outside of dealing with impatient and often volatile customers, you have to set up a shop in a safe place, not die, manage your stock, not die, undercut other merchants, and not die. 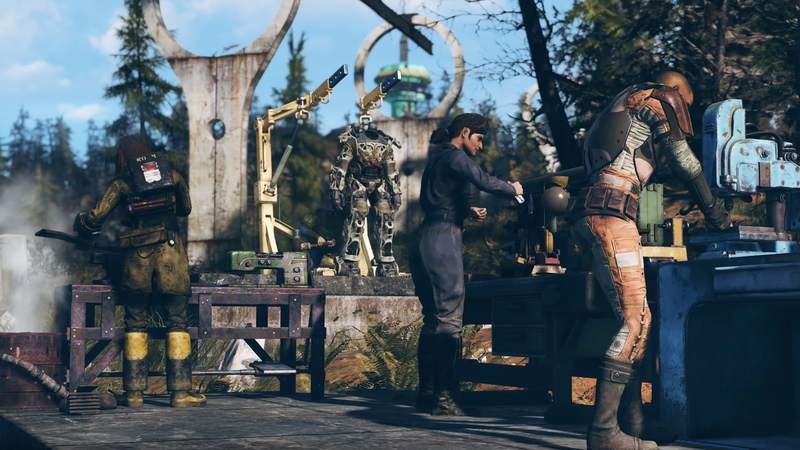 With many players experiencing Fallout 76 as an insatiable killing machine, I sought to bypass that and take on what I thought would be the relatively pleasant life of buying and selling goods across West Virginia – a helping hand in a game that doesn’t otherwise offer one. My experience has not been stellar. One of the earliest roadblocks I encounter comes when trying to pick character perks that suit my new career. Most skills revolve around either killing creatures or not getting killed. I pick up Hard Bargain to lower vendor prices, but the best I can do with the rest of my perks is to simply reduce the weight of the items I carry. Fallout 76 doesn’t offer a lot of flexibility for those who want to experience the game outside of the daily cycle of murdering animals, finishing quests, and obtaining loot. Stocking my virtual shelves is a little easier since there’s a ton of junk and loot to be found across the map. However, I quickly learn that most players only want meds, crafting plans, bulk junk, and Legendary items. The latter are very heavy, making it difficult to carry more than a few additional weapons and pieces of armour. But I soon face a bigger problem than my dwindling inventory space – finding customers. Fallout 76 has a large world, but a single server only supports up to 24 players at one time. This means it’s uncommon to naturally stumble across people when exploring. Thankfully, you can see everyone’s position on the map in real-time, unless they’re sneaking. You’d think the trick would be to fast-travel to the most populous areas but you have to pay a fee to do so, which gets more expensive with distance. If someone doesn’t purchase any of your goods after you fast-travel then you’re making a loss. But that’s not even the worse case scenario. I’ve lost track of how many potential customers have vanished in front of me right as I was about to interact with them. More issues spring up when I do get to the chance to try to make a sell. Turns out Fallout 76’s communication mechanics are not exactly eloquent. There’s no text chat and a lot of people don’t use voice chat in the game, so even getting the concept of doing a trade across can be plagued with difficulties. Jules talks about the same problem in his Fallout 76 review, he found players would respond to the offer of teaming up by vomiting. For me, this inadequacy leads to some peculiar scenarios. I stumble across someone in an abandoned town and end up chasing them four blocks just to get their attention. Another player decides to speak to me in only dramatic head movements while another tries to pay me in nothing but bullets. My first real sale comes from a low-level player who wants to buy some Rad-Away. Unfortunately, Fallout 76 doesn’t let you drop caps for other players to pick up, so for the transaction to take place I have to cheat a little and learn a workaround for this issue. It’s not an elegant method but I can now earn money for my goods. 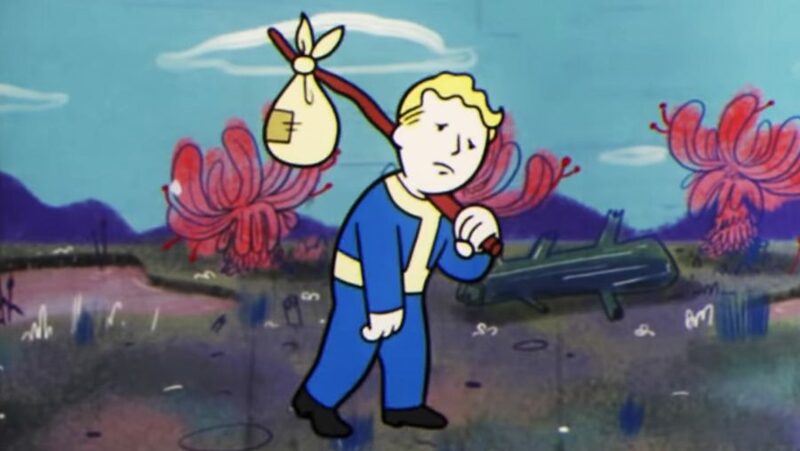 Armed with the knowledge of this new system, I take to the wasteland with a new skip in my step as I search for people willing to throw their hard-earned caps at me. 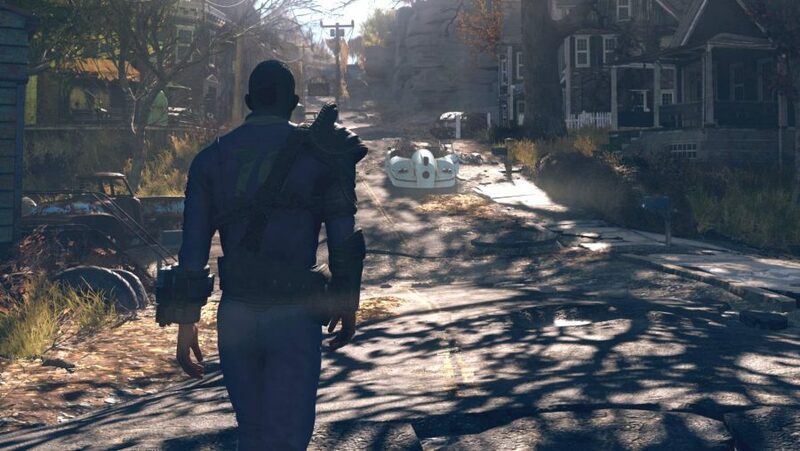 The life of a Fallout 76 trader may not match up to the real world, but just how realistic is the rest of Bethesda’s post-apocalyptic RPG? We talked to a nuclear physicist to see what they had to say about a nuclear wasteland full of super mutants, ghouls, and rad roaches. Is it at all realistic? One player I stumble across is being chased by a pack of ghouls outside of Whitespring. I help them kill the horde of monsters and, afterwards, quickly unequip a special Legendary armour piece that reduces all damage from ghouls by 15%. They’re reluctant to make the purchase at first so I explain that the entire area is littered with ghouls. They probably won’t need this armour piece to survive the onslaught but they don’t need to know that. It’s not like it won’t help, though, and I’m not someone to turn down such a golden opportunity. There’s nothing wrong with upselling. Seconds later my load is significantly lighter and I’m 100 caps better off. This is a rare victory in the life of a Fallout 76 merchant. For all the small, fun moments I have the feeble player size and lack of roleplaying options work to make it a real drag. There’s a specific play cycle that has been designed for every player to go through as they venture across the world. Trying to do anything other than that has been made tricky. The game’s mechanics and perks are not accommodating to anyone who wants to do more than shoot anything that moves and launch nukes at each other. From what I can tell, Fallout 76 is less about rebuilding the world, and more about killing everything in it.